This photograph shows inmates J.C. Williams, prisoner number 9446, and Franklin Lewis, prisoner number 6439. J.C. Williams was received at the Kansas State Penitentiary on July 12, 1900 from Saline County, Kansas for perjury. He was sentenced on March 30, 1899. 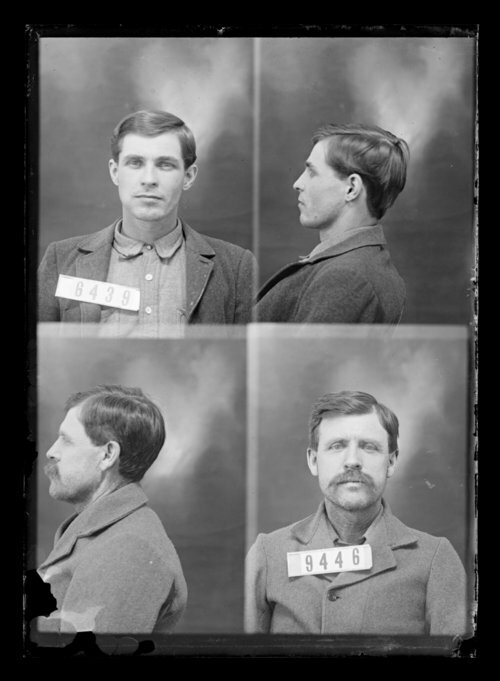 Inmate Franklin Lewis was received at the penitentiary on February 6, 1893 from Coffey County, Kansas for murder.